NFDC rocked by sudden regional resignation. 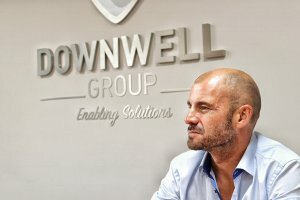 The London & Southern Counties region of the National Federation of Demolition Contractors has been plunged into disarray following the sudden and unexpected resignation of vice chairman Matt Phillips of Downwell Demolition. Although Phillips refuses to be drawn on the specific reasons for his shock resignation, DemolitionNews understands that he has cited differences with current NFDC president and industry veteran Paul Brown. The resignation of Phillips is a blow to a region that has produced five of the last six NFDC presidents and which is the largest – by far – and most influential of the Federation’s five regions. But it is potentially a bigger blow to the Federation as a whole. Phillips is young, dynamic and has the determination and passion needed to bring about some much-needed reform and modernisation within the NFDC. His company – Downwell Demolition – is seen as one of the industry’s rising stars; a reputation Phillips himself looked set to replicate within the NFDC. Regional chairman Robert Collard of R. Collard Ltd was quick to praise Phillips for his contribution during his time in the role of vice chairman and says he is “gutted” that Phillips has decided to resign. The search now begins for a replacement for Matt Phillips to partner Collard. Posted: November 17th, 2017 under General, News, People.